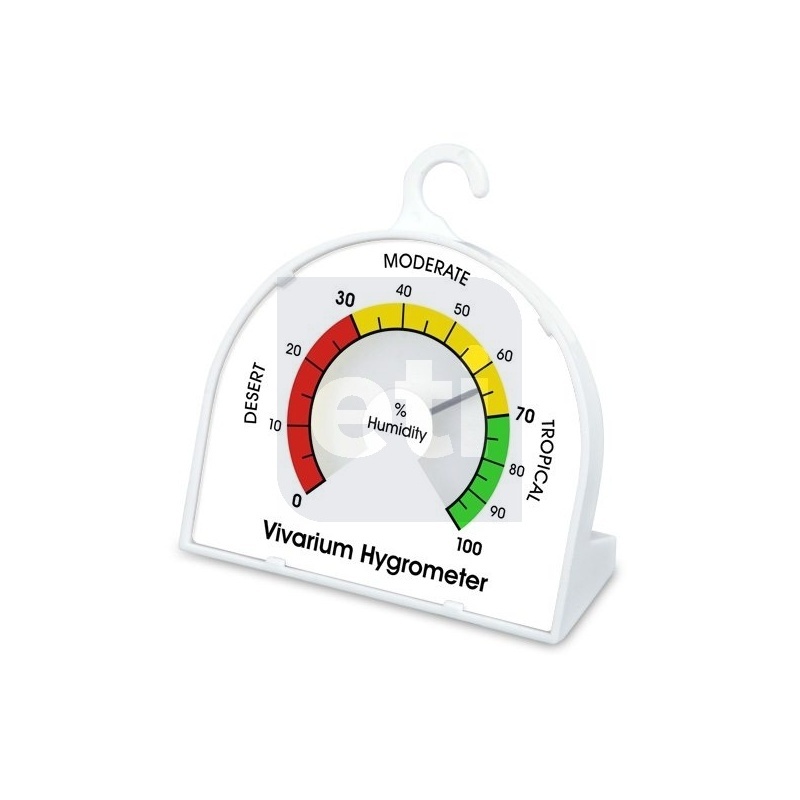 This 70mm dial vivarium hygrometer monitors humidity levels effectively and easily. The humidity level is an important factor in keeping your reptiles or amphibians healthy and stress free. It is easy to read and install. 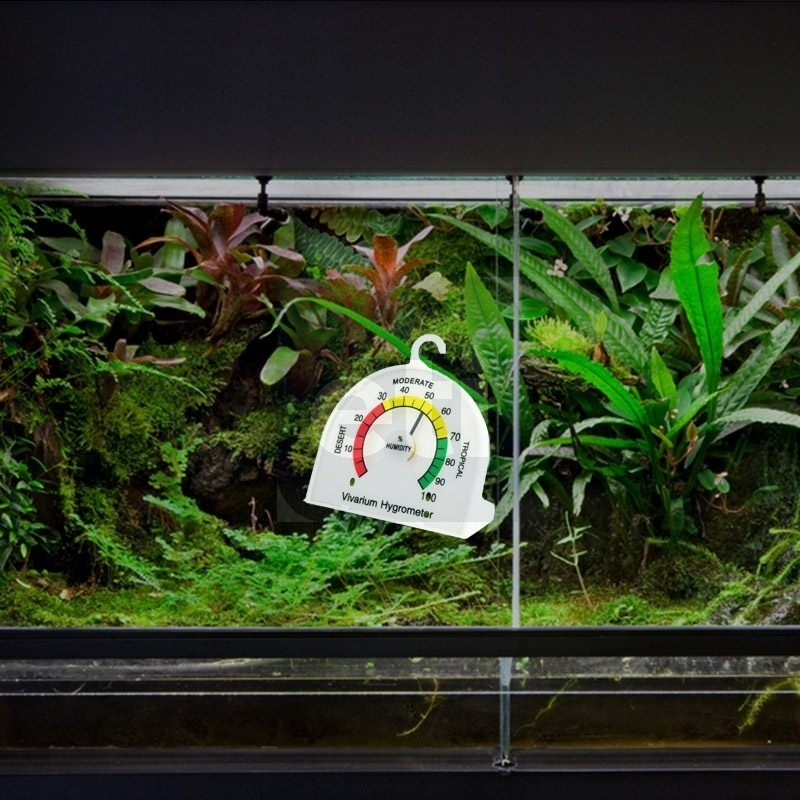 Maintaining the proper temperature and humidity levels in a terrarium is vital for the well-being and health of all reptiles and amphibians. 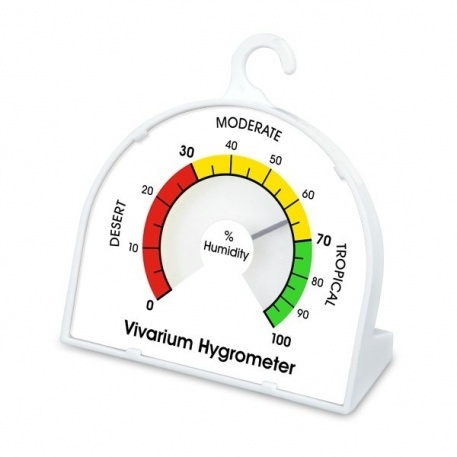 This product has an analogue dial display and an easy-to-follow coded humidity scale, ranging from desert to moderate, to tropical on a simple scale of 0 to 90% humidity.